By Melissa G. Hunt, Ph. D.
Irritable colon; Alternative treatment; Popular works. A revolutionary approach to handling todayâs most prevalent gastrointestinal disorder. IBS is often linked to stress, but the vast majority of treatments focus only on restrictive diets. By contrast, this book addresses the emotional component of the disorder through new research based in Cognitive Behavioral Therapy. It actually encourages people to change the way they think about the ailment and stop avoiding situations they fear might exacerbate their symptoms. 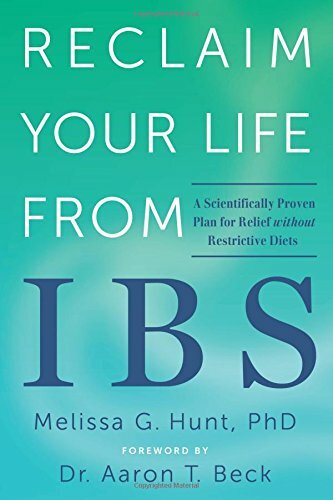 Tested in a unique randomized controlled trial by the authorâwho is a clinical psychologist and scientistâthis program, based on a solid scientific foundation, offers new hope for IBS sufferers hoping to reclaim their life.